I just returned from Young Living’s Winter Harvest in Naples Idaho at the Highland Flats Farm!! What an amazing experience. I got to experience our seed to seal process up close and personal. I’m super proud of myself for stepping outside of my comfort zone. I’m certainly not the outdoorsy kinda girl. Add to that the fact that I hibernate in winter and you’ll realize this was nothing short of a miracle. And guess what? I had a blast. I got to drive a Skid Steer twice with two different attachments. The first time I used it outside with a tree cutting attachment (that’s probably not the correct name but you get the point.) It was so cool. See video of me driving. The second time I drove indoors with a scoop (again not proper name) attachment used to scoop up the tree materials and transport them to the large machine where the material is steamed to create the essential oils. The entire group of ladies at Winter Harvest this week. We went from strangers to friends. The truck unloading materials from the chipper inside the distillery. One of the three jacuzzis filled with floral water from the Idaho Balsam Fir . This is where we slept and ate. Kinda reminds you of the show MASH from the 80s. DIY Foaming Hand Soap- so easy to do that you’ll wonder what took you so long to try this. To make this soap you will need a foaming soap bottle- can be recycled or you can purchase one. I have done both. Three of mine are recycled and I picked up a cute one from Target. *I would not recommend using citrus oils since most soap pumps are plastic and citrus oils eat through the plastics releasing chemicals. Also citrus oils are photosensitive and you should not apply them to skin that will be exposed to the sun within 24hours. It’s been two weeks since I finished the 5 Day Nutritive Cleanse. Guess who’s down 10lbs!!! Here is my most recent video update. Today I’m sharing how to eat healthy and affordably. Last year my family joined a local Farm Share also known as a CSA (Community Supported Agriculture) near our home. This was a step in the right direction for us. It encourages us to not only eat more fruits and veggies but expands the variety of foods in our diet. Each week we arrive at the farm anxious to see what we will take home for the week. We have no control over what we get, but everything is fresh and in season. Last year I discovered that my son and I love mushrooms and made acorn squash soup and zucchini bread for the first time. This year I am on a mission to tackle some new items in my box. If you have any suggestions for my eggplant or any other items, please share. Another great thing about being in a Farm Share is the savings. Here in Pennsylvania my CSA runs from June through October. For these four months the amount of produce I bring home far outweighs what it would cost me to purchase these items in a grocery store. Now, if you have a smaller family or younger kids who don’t eat as much you can get away with splitting a seasonal membership with another family which is what we do. Typically the amount of food we get is enough for our two families to split. However, when items are popular in both homes or we only get a one or a few of something we have to get creative in our sharing. Sometimes we’ll say “I’ll take the melon this week and you’ll get next weeks melon” or one of us would take it and give the other more of something else. I’ve also been known to purchase extra from the farmer if available then trade out my share of the single or small quantity item for more of something else. The great thing about purchasing from the farm is the awesome value. You will see what I’m talking about in this video. I hope this helps you see that eating healthy doesn’t have to break the bank. Interested in finding a CSA near you, click here. Young Living Essential Oils: Often Imitated but Never Duplicated. I’m back from Young Living’s 2015 Convention. What an amazing time it was. First, let me just describe for you how huge this event was. Due to the large number of people who want to attend the convention Young Living had to break it up into two sessions. That’s right, we are so big that we had to host the convention twice with each session boasting 10,000 people. What’s even crazier is that both sessions sold out long before convention. Session A sold out within days of it being announced back in January and Session B was fully booked more than a month out. This just goes to show you how hungry people are for more knowledge and tools to do better by their bodies and enhance their health and wellness. A group of friends and I did a convention recap for our Facebook group. As part of my contribution I did a video to share my thoughts about Young Living as well as our founder and former CEO, D.Gary Young. I’m not one who is into idolizing and worshipping man, so please don’t take my admiration and respect out of context. After hearing Gary Young speak about essential oils, I have a greater appreciation for what he has done to make Young Living what it is today. 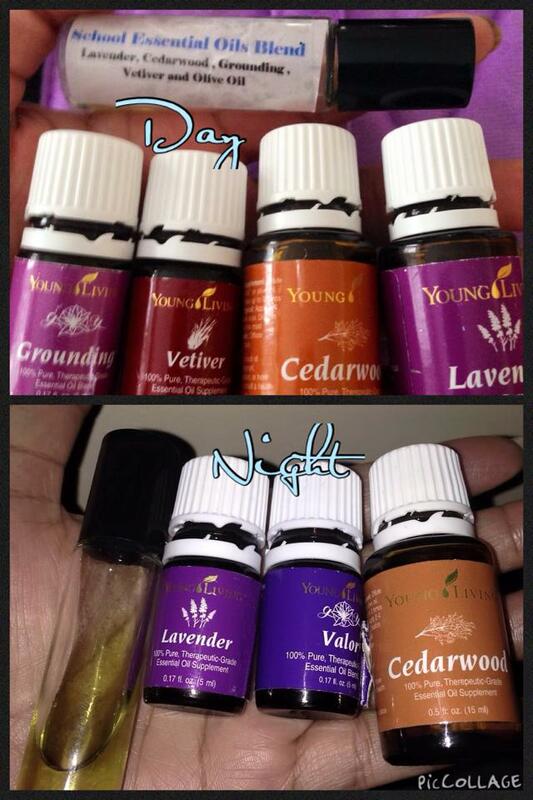 There is no doubt in my mind that Young Living’s essential oils are of a superior quality and second to none. Although essential oils have been around for along time and can be found in just about every health food store, it was Gary Young who has made essential oil use and more specifically Therapeutic Grade oils use more mainstream in his attempt to make sure that every home in the world has access to God’s gift to us. Just wanted to share an update with you on how things are going for me on the 5 Day Nutritive Cleanse by Young Living. This week I decided to take on Young Livings’ 5 Day Nutritive Cleanse program. As part of the cleanse I had to drink the Balance Complete meal replacement shakes. I must admit the thought of having to stomach a terrible tasting drink that left your mouth feeling all powdery made me sick. I know what your thinking, how could I think such a thing without having tasted it? I have tried other protein shake type drinks from other companies before and have always struggled to drink the beverages without feeling that I wanted to gag at the taste. Just as I was about to prepare my very first shake of the program it occurred to me that I should document my natural reaction whether good or bad. So I pulled out my phone and started recording myself with while still wearing pajamas and sporting my morning voice. I’ve added the video of my reaction for you to view my reaction. For the past two months I’ve been rubbing essential oils on my son before school. Two weeks ago his teachers mentioned that they loved smelling him. I laughed with relief just glad that they were not bothered by him. Then I’d shared with them that I was using essential oils to help him relax and focus in class. My son is full a life and loves to have fun, so he can get easily distracted and have to be steered back on track. Earlier this week I started using my night time blend on him before bed in addition to his school blend. I’m happy to report that his teacher said he had his best two days of the school year thus far. He did his work and she didn’t have to call his name once. 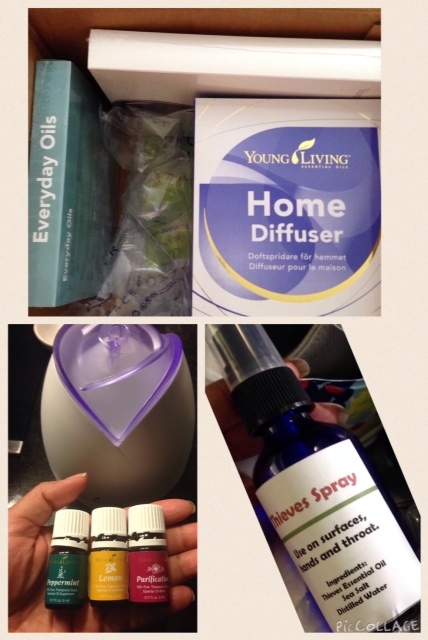 This package right here started me on my journey to loving Young Living oils. I was so excited that I quickly snapped a picture before busting into each box. This was only 7 months ago. Initially I kept it packed away nicely with the intention of using it sparingly. I occasionally played around diffusing an oil here or there for the aromatic effect. Then I started coming down with something on the eve of my baby shower slumber party. This was no time to get sick and I was feeling yucky- post nasal drip and that weird throat feeling had me worried. With all of the drug restrictions during pregnancy I quickly pulled out my oils and jumped on google to see what others were using. I ran my diffuser day and night with Lemon and Peppermint while alternating Thieves and Purification. I applied the Thieves oil neat (term meaning undiluted) on the bottom of my feet. I also made a Thieves spray (which by the way doubles as a hand/surface spray) that I used to coat my throat. I even diffused overnight at the slumber party. Before long, I was back to myself again. I love my Essential Oils!